I find musicians can be very emotional people at times. However, where do you think they inherit this trait from in the first place, huh? Is it biological? Is it social? Or is it genetic? Hmmm? Maybe this documentary can answer this question for us? 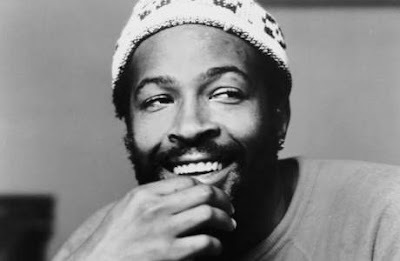 This one about Marvin Gaye, that lasts for 50-minutes and was made in 2010. This episode of 'The Final 24' presents the life and death of the master of Motown, Marvin Gaye. As ever, on offer within this show, are a selection of archive footage, stock-photography, re-enactments, and interviews by Marvin's family, friends, and work-colleges alike. A NOT SO GAYE HOUSEHOLD: Now it is pretty safe to say that Marvin Pentz Gaye Jr., has had a very lopsided childhood. Please note, this hasn't got anything to do with his mother, Alberta, because she had a very loving association with her son, and cared for him deeply. However, as for Marvin's father, Marvin Sr., that's a completely different story altogether. He was a pastor. He was a drunk. He was a cross-dresser. And he kept a firm hold over his family, and beat a young Marvin whenever he saw fit. SINGING HIMSELF TO SUCCESS: Thankfully, during his time in the church choir, Marvin was able to hone his love for singing, so that he could then gain employment at the music production company, 'Motown Records'. Granted, at first, his talents were utilized in a very minimal way, with Marvin either playing the drums or stretching his vocal-cords in the fledgling band 'The Moonglows'. Nonetheless, over time, Marvin used his good-looks to marry Anna Gordy, the elder-sister of Motown's founder, Berry Gordy, as well as using his musical prowess to get his name on the charts. SEXUAL HEALING: Marvin had a very bi-polar time being top of the pops. On the one hand he was very happy his popular status gave him the opportunity to spread a loving message within his songs. Whilst, on the other hand, he split from Anna, he began a very tempestuous relationship with his teen-age beau, Janis, plus he spiraled into drug-addiction in the process. Moreover, the IRS were after him for tax-evasion, he was having creative difficulties with Motown, and he was plagued by visions that someone was going to kill him too. THE FINAL 24: The final days of Marvin Gaye reads as follows: (5) Marvin is staying at the house that he purchased for his Mum and Dad, using it as a drop off point for drug-dealers whom were supplying him with his fix. (4) Feeling paranoid most of the time, on two separate occasions Marvin has an argument with his brother and his father. (3) The following day, Marvin has another argument with his Dad, and strikes him out of anger. (2) Marvin's Dad goes to his bed-room, gets the gun that his son gave him for protection, and then shoots him with it. (1) Marvin dies on the way to the hospital, with the paramedics having to wait for over twenty minutes because Marvin's Dad still had the gun in the house. Now I am sure like many of you out there in cyberspace, whenever you hear the name of 'Marvin Gaye', you cannot help but smile and reminisce about a period of your life when you were 'bumping ugly's' to one of his tunes. You know what I mean, right? 'Sexual Healing'. 'Let's Get It On'. 'I Want You'. Or 'The Birdie Song'. (OK, maybe not the last one). However, now, after watching 'Marvin Gaye - the Final 24', I am afraid to say that all of this has changed for me quite a lot. You see, what this documentary show's is how an artists life and an artists nature are two very different things altogether. Take Marvin for instance; on a surface level, I always thought that he was a very smiley tall black man, with a stride in his step and a song in his heart. Moreover, I also thought for a man to be able to express love through his songs in the way that Marvin has, he has to have had experienced a real lot of love in his life. Opps! I should stop thinking me thinks. OK, I am sure that my feelings about Marvin must have been true during certain periods of his life. Whilst, by in large, I think that I most probably am in error with my presumptions, and that Marvin was in fact a little lost little boy, who really wanted to know love from his own father. Well, when you come to think about it, it is very sad really, how a father and a son just cannot seem to get along. Though I do wonder why Marvin's father was the way that he was, just to make Marvin the way that he was. Was it biological? Sexual frustration maybe? Or just something inherent from generation to generation? Because what makes a father shoot his own son? And what makes a son want his father to shoot him? Please note; that is what this documentary implies - that Marvin wanted Daddy Dearest to end his life once and for all. Sounds kind off screwed up to me, and I suppose that is where my dichotomy lays within this tale. How can a man who has given so much love into this world not be loved by his own flesh and blood? Oh! I don't know. My head is staring to hurt just thinking about it. Still, that is what is so good about 'Marvin Gaye - The Final 24'. It makes you think. And just wonder who the lucky ones really are. Don't you agree with me smiley black man, Marvin? What would you like to say about what I have had to say? Couldn't put it better myself, buddy. Rest is peace.